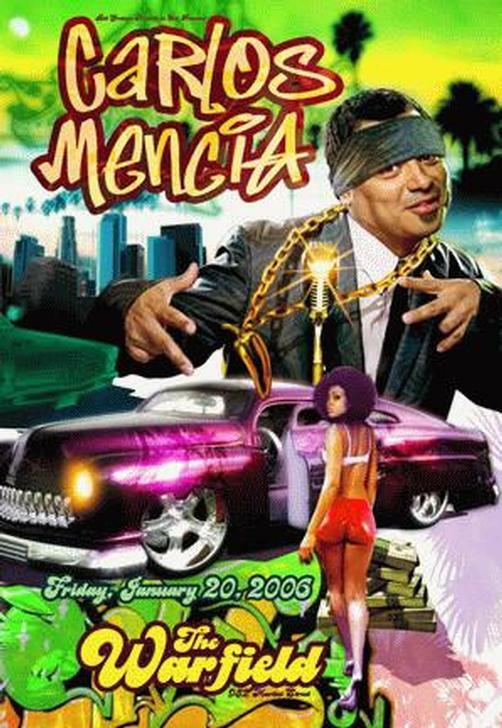 Original concert poster for Carlos Mencia at The Warfield in San Fransisco. 13x19 card stock. Art by Craig Howell. BGP336.